5-Methyl-7-Methoxy-Isoflavone (a derivative of an isoflavone found in soybeans) is a non-hormonal anabolic and anti-catabolic compound which has been shown to decrease cortisol levels, increase protein synthesis, and improve overall recovery from exercise - it has anti-estrogenic properties and may elevate natural testosterone output. 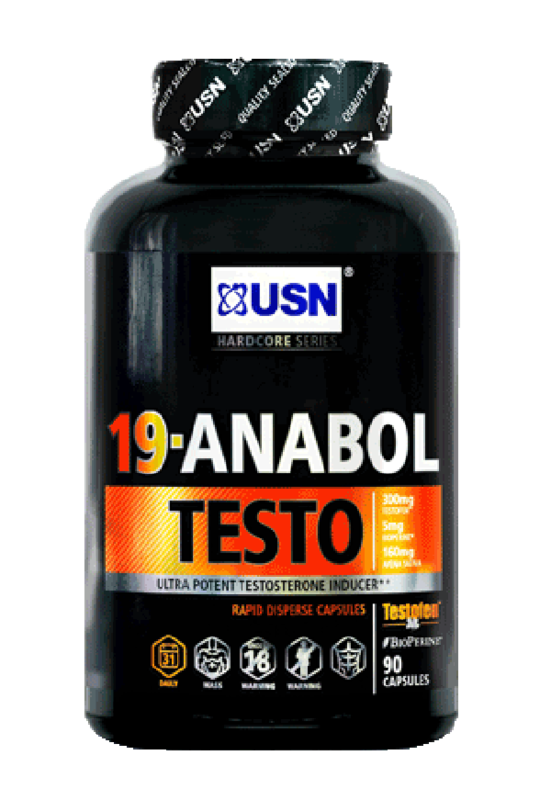 The other active ingredients added to the USN 19 Anabol Testo formulation work synergistically with methoxyisoflavone to increase protein synthesis, maintain a positive nitrogen balance and keep your body in an anabolic state. Furostanolic saponins, including avenacosides, are found in effective quantities in the formulation. These substances appear to stimulate the release of luteinizing hormone (LH) from the pituitary gland, which then travels via the bloodstream to the testicles, where it may stimulate testosterone production.